Cloud vendors still need channel partners to boost sales, cut costs, educate customers, and support their offerings. Cloud computing is disrupting numerous technologies and vendors with its delivery, scalability, and cost models. With its ability to do more with less, cloud computing continues to gain traction in the market, as sales are projected to top $250 billion by next year — a milestone reached five years ahead of previous projections. Cloud sales are projected to top $250 billion by next yr — five years ahead of previous projections. Funny thing is, this isn’t a new question. In fact, the cloud’s potential to disrupt the channel has been questioned since the early days of the service evolution. At the heart of this question is the cloud’s ability to allow vendors to reach thousands – if not millions – of customers through direct, automated touch. If vendors could bypass the channel, they would save millions in surrendered margin given to middlemen. The cloud is becoming big business. Amazon is doing more than $10 billion a year in cloud sales. Microsoft’s various cloud businesses now generate more than $5 billion in revenue. 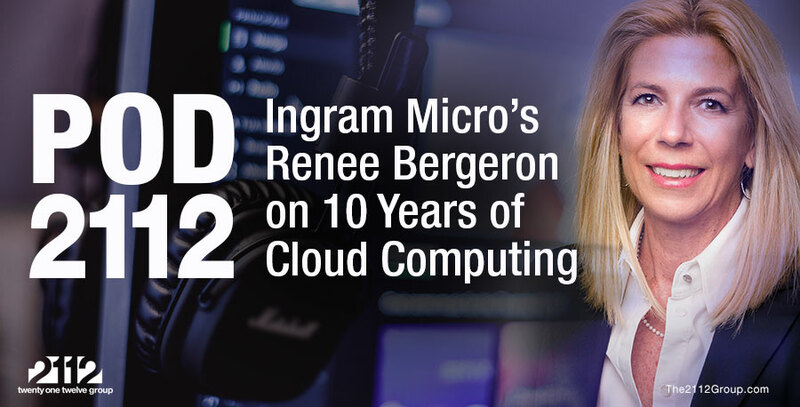 And IBM’s cloud initiatives are producing more than $3 billion in earnings. In addition, scores of other vendors are leveraging the cloud in big and small ways to replace revenue derived from legacy technologies and delivery models. And despite the cloud’s ability to reach far and wide, vendors remain utterly dependent on the channel for success. Even though the cloud market has been growing 330 percent over the past five years, vendors still can’t scale their cloud businesses fast enough to make a difference on their balance sheets. Microsoft, for instance, tried using a direct and limited channel sales model to sell its Office 365 offering. The service took off only after Microsoft opened the product to more solution providers for resale and tools became available to facilitate value-add services. The IT industry has done a tremendous job of educating customers and raising awareness about the cloud’s potential. In fact, we may have done too good a job. According to the annual State of the Cloud Channel report produced by 2112 and Channel Partners magazine, one-half of solution providers say their customers have high to exceptionally high expectations for the cloud’s capabilities to solve business and technology challenges. And 55 percent of solution providers say their customers’ value expectations for cloud investments are high to very high. Perhaps one of the more telling statistics to come out of this report is the volume of end users abandoning the cloud. Nearly one in four solution providers say they have customers who are giving up on cloud services and going back to conventional on-premises technologies. The chief reason is that the cloud costs more without meeting expectations. A combination of market scale and the need to meet expectations is what will keep vendors dependent on the channel to capture and maintain market share. Here are five reasons why vendors need the channel in the cloud era. The total addressable cloud market is immense, and it’s only getting bigger. According to InformationWeek, enterprises are increasing their cloud spending by one-third annually. Nearly every business has adopted, or is looking to adopt, a cloud service. The notion of being able to automate cloud sales is naïve. Some cloud services lend themselves nicely to automation, but not all. Complexity means having to educate customers and support the acquisition process. Vendors will need channel partners to augment their sales capacity, reach customers, and stave off competition — just as they always have. The channel was created as a means of deferring cost of sales. By working through resellers, vendors reach the total addressable market without incurring the heavy fixed costs of building and sustaining large sales organizations. Partners get paid only when they produce; direct-sales personnel get paid even when they’re not selling. We still need salespeople to sell the cloud, and the channel is a means of scaling capacity without incurring high costs. Cloud services are not in short supply, and few service providers or vendors don’t face brisk competition in this space. In the hosting market alone, there are more than 1,500 major suppliers around the world. In CRM, there are more than 40 significant contenders. And in cloud-based backup services, there are more than six-dozen providers. For would-be buyers, finding a vendor isn’t hard. For vendors, though, attracting and capturing sales is extremely difficult. Through the channel, vendors gain allies that evangelize products and services, and guide end users to their brands. The cloud changed the delivery mechanism and cost structure of infrastructure and applications, but it didn’t change one underlying tenet of IT: No one product can solve all business needs. Vendors create products, but reseller partners – particularly solution providers and integrators – are the ones who integrate those products with existing systems and provide ongoing support. Given that customers have such high expectations of their cloud investments, vendors need partners who can transform their creations into value-producing systems that meet and exceed their customers’ goals. It’s nice to think that Amazon solved the sales riddle and anything can be sold through an online portal. In truth, commodity and complex business tools sold as services are not the same as books; customers want to know their suppliers and need constant reinforcement of the value of their systems. As was the case with managed services, customers’ perceptions of cloud value diminishes over time. This makes partners susceptible to competitive displacement pressure. Through partners, vendors are able to keep tabs on customers, reinforce value messages, and retain engagements that produce predictable recurring revenue. Vendors will remain challenged to produce revenue and profits at a scale sufficient to replace their legacy products, and containing costs is a big part of that equation. The notion of eliminating the channel from the cloud go-to-market process is tempting, but it’s also impractical as it stunts sale potential and ultimately increases costs. The real goal is striking a balance in which vendors get the return on cloud investment they need while providing partners an opportunity to succeed in representing and building around their cloud services.